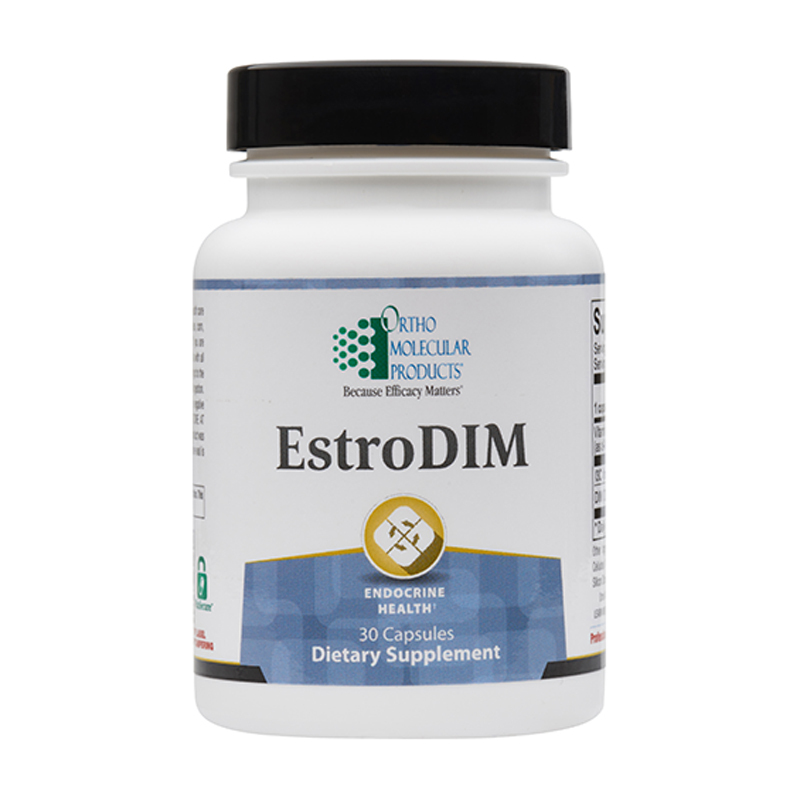 Estrogen collectively refers to the female hormones estradiol, estrone and estriol. Hormones have important functions in every area of the body. They are chemical messengers that interact with cells all over the body (especially tissues that are more sensitive to them, including breast and prostate tissues). The most important message they deliver is to grow, divide, and multiply. For this reason, hormones are critically important in human development and tissue repair. Supporting proper estrogen synthesis, metabolism and detoxification is essential for proper hormonal balance. By keeping hormones in balance and ensuring the body is able to process hormones properly, cruciferous vegetable metabolites work together to reduce hormone overload and maintain cellular health. 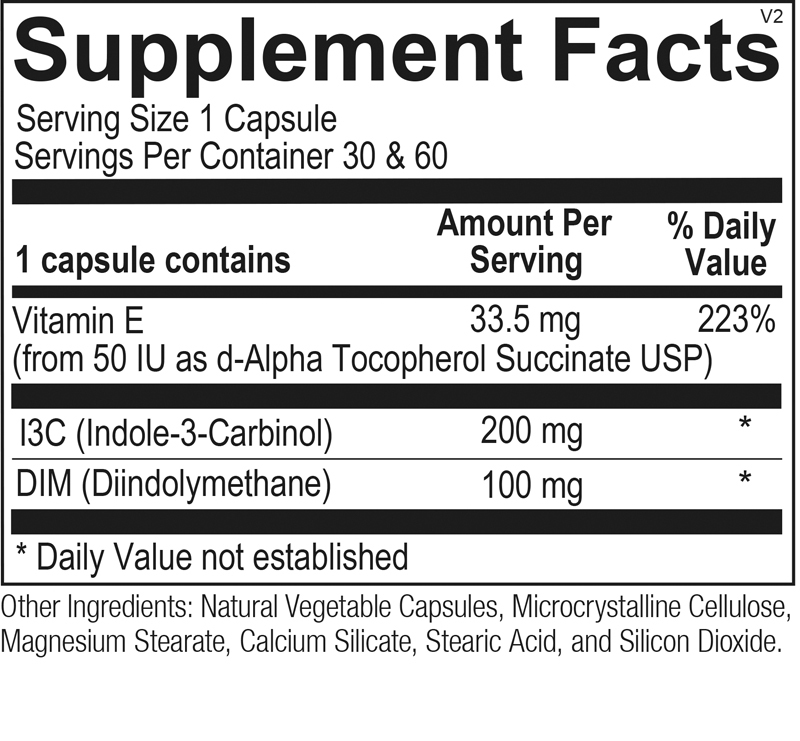 Current data on metabolites Indole-3-carbinol (I3C) and diindolylmethane (DIM) suggests that these vegetable metabolites have strong potential for supporting breast, cervical, uterine and prostate health. 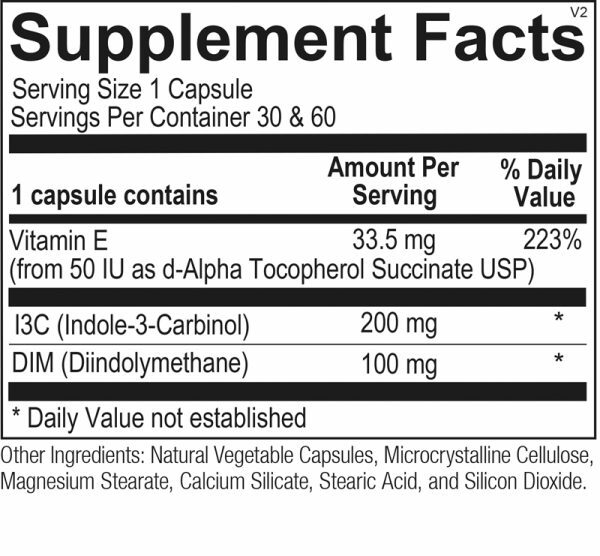 I3C is a naturally occurring compound derived from cruciferous vegetables such as broccoli, Brussels sprouts and cabbage. With this in mind, EstroDIM includes targeted doses of both I3C and DIM in one capsule a day dosing to make daily balancing of hormones easy and convenient.